270 young people graduated with a profession. 3,700 displaced children could attend school in North Kivu in the DRC. 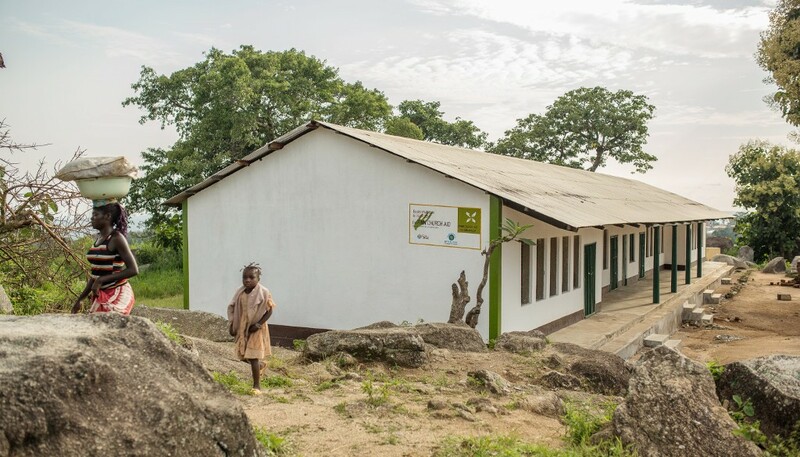 28,000 children and young people could go to school in renovated school facilities in Central Africa. DEMOCRATIC REPUBLIC OF THE CONGO In 2014, the security situation in the Democratic Republic of the Congo was mostly good and Finn Church Aid could continue its work in the area, for the most part without interruptions. Some of the areas saw a rise in criminal activity, such as kidnappings, and severe flooding was experienced in Masisi, where FCA implemented a humanitarian aid project. FCA continued to work towards strengthening women’s rights By offering legal counsel and opportunities for earning a living. At the national level, advocacy was also carried out with success. In the Masisi territory of North Kivu, 3,700 displaced children were able to start school. FCA also repaired four semi-permanent classrooms and built eleven temporary learning spaces for children and young people. 270 young people graduated from the vocational training programme for disadvantaged youth in 2014. Furthermore, 80 young people were granted a loan for setting up their own businesses. Finn Church Aid also supported the founding of savings and loan groups in 40 villages. In 2014, Finn Church Aid continued to work with the Alternatives Network, made up of influential people in the Congolese society and contributing to a democratic future. This work is of special importance before the presidential elections to be held next year. THE CENTRAL AFRICAN REPUBLIC Finn Church Aid holds an important role in the education sector in the Central African Republic that is ridden by violence. Between April and December we renovated and refurbished 25 schools in three different regions. Since the summer of 2014, the renovation work has been carried out in cooperation with the United Nations Children’s Fund Unicef. By the end of the year, approximately 28,000 children and young people in the Central African Republic studied in schools that had been renovated by FCA. 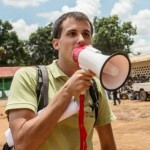 Finn Church Aid was also involved in peace work in the Central African Republic. For example in April 2014 we organised, in cooperation with US authorities, a peace meeting for religious leaders in Bangui, the capital city. Attendees of the meeting included the Archbishop of Bangui, the Chair of the Islamic association of Central Africa and the Chair of the association of evangelical churches in the country. 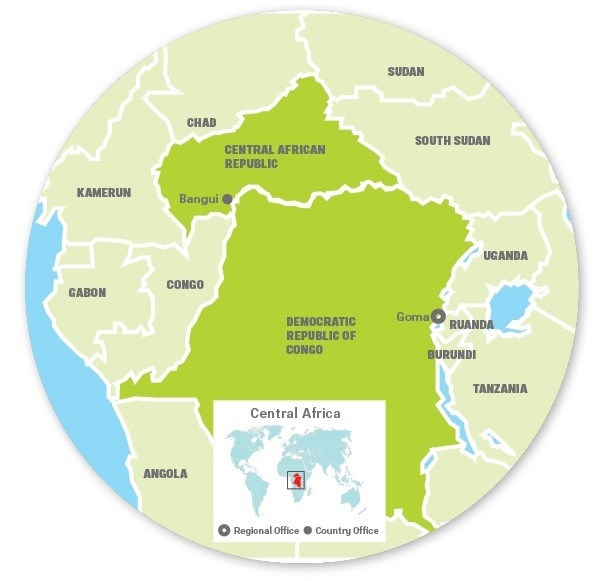 The Central Africa Regional Office was merged with the West Africa Regional Office in 2015.